Just a few days before the NFC Championship Game, ​Alvin Kamara had other things on his mind​. But hardly in a bad way. 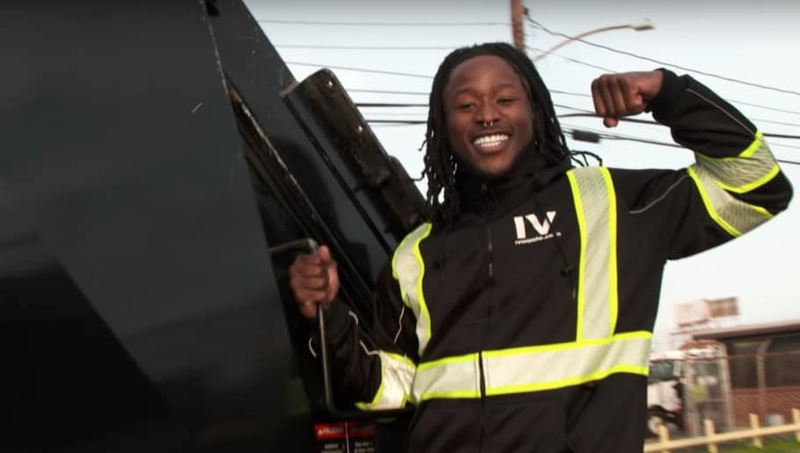 Just because it's the playoffs doesn't mean Kamara's taking a single week off from his season-long quest to work a different blue collar job every week to get a feel for the fan base. This week, Kamara took out the trash, and really poured himself into it. Yes, this truly is a Tuesday tradition for Kamara, known as a grinder in his Sunday gig, too. Always underappreciated and i​ncorrectly utilized at Tennessee, Kamara is a new man at the next level, never taking a day in the bigs for granted. He's living his best life in the city that's embraced him, and that's next-level from one of the game's young stars. No matter how you feel about the Saints, or their prospects in this week's NFC Championship Game, you have to respect the hustle.